Remember last week when Zeus, Inc., was available for free on Amazon’s Kindle store? Well, this weekend, the second book in The Alex Grosjean Adventures series is free. 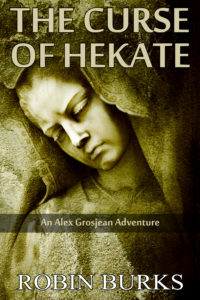 That’s right, from today through Sunday, you can download a free copy of The Curse of Hekate.